The US PGA Championship is always the last major golf tournament of the year. This year’s event takes starts on Thursday, August 9th, at Bellerive Country Club in Missouri. 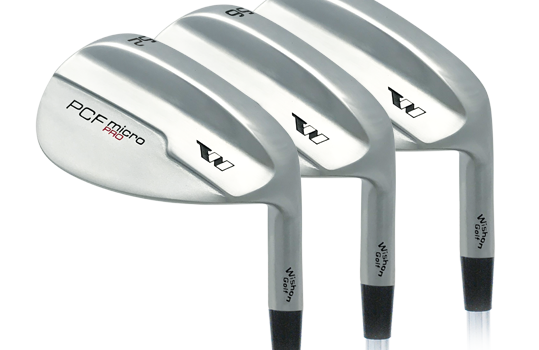 Diamond Golf is offering a set of three Wishon Golf PCF Micro Pro wedge clubheads (52, 56 and 60 degrees) for the winner of our US PGA 2018 Predictor Competition this week. All you have to do is predict the Top Four finishers in this weekend’s US PGA Championship. Simply complete the form below and click ‘Submit’. Tom Wishon talks us through the 12 Key Specifications of Custom Fitting for Golfers. Hopefully you have now received your new copies of the 2018 Wishon Golf and Diamond Golf brochures.